‘Jesus is not a metaphor. He is real. 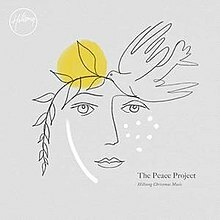 This all happened.’ Tim Keller, in his book ‘Hidden Christmas’, reminds us of truth amidst the sparkle, glitz and consumer-centric hype of Christmas. 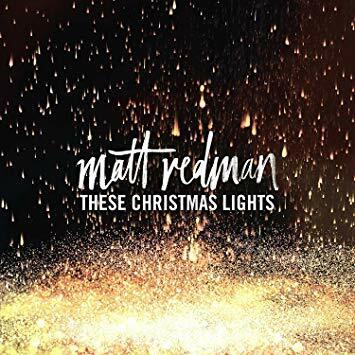 Amidst the debt, family-breakdown, heartache and strife of Christmas. Advent points to the coming of Jesus to this earth. A gift that had been promised for hundreds of years. Celebrating advent with our children builds anticipation for Jesus’ birth. It redirects their minds towards the One who makes all things new, the One who they can trust, who doesn’t break his promises, the One who came to heal our broken hearts. At Grace Church, we’ve been digging around for some ideas and resources to help your family mark Advent in a meaningful way. We hope you can find one or two that will bless your family this season. For primary school aged children, The Littlest Watchman Advent Calendar (which goes alongside The Littlest Watchman book by Scott James) comes with a booklet with 25 devotions for December, helping families look through the Bible together in the lead up to Christmas. Each window in the calendar provides a tear off decoration for your child to put on your Jesse tree – meeting the different people from Jesus family tree along the way. You can buy your copy here. Each story points to Jesus as our Saviour, and most stories can be found animated on YouTube and read by David Suchet (best known for his role as Agatha Christie’s Hercule Poirot). Alternatively, if your child loves craft and making things, they can draw and colour in their own decorations (correlating with one of the resources shown above) out of card or make them out of salt dough. You can be as creative as you like! FREE ENTRY 10-6pm everyday til 23rd December. A more traditional Christmas experience on a farm run by Christians. Choose a tree, order a turkey, and visit the reindeer lodge, the Nativity area with a donkey and other animals, and the shop filled with locally produced festive goods and decorations. Visit www.cotleychristmas.co.uk for more information. Playmobil have a great range of nativity playsets you can set up year after year. You can also find some beautifully crafted wooden sets online too. Exeter Foodbank have provided the 2018 advent calendar below. You could make your own one with your children, to help teach them the importance of serving others and to see the bigger picture at Christmas. Help your children write shopping or gift lists for other people. Whether family members, friends or those in need, it helps you to go big on giving this Season. ‘Bake through the Bible at Christmas’ helps parents to explore the Christmas story with their children whilst cooking! Containing 12 Bible stories, they take the child through the events of the first Christmas. Why not give away what you’ve made to your friends or neighbours? 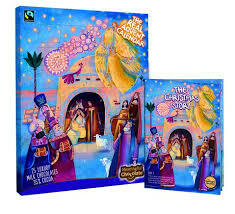 The Meaningful Chocolate Company have produced The Real Advent Calendar (Fairtrade) which comes with a free 24 page Christmas story-activity book. Read here to find out other ‘meaningful’ features of this advent calendar. 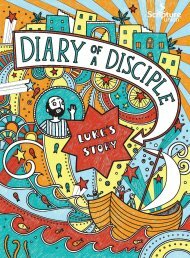 (8-11 years) Gives an account for the whole of Luke’s gospel, beginning with the Nativity Story. The style is similar to the popular children’s book series, Tom Gates. 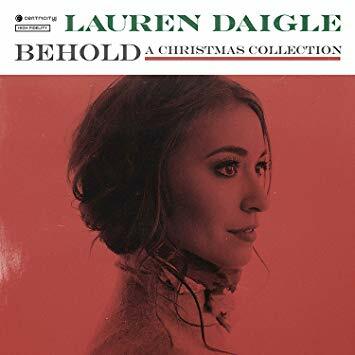 (4-7 years) This is a brilliant retelling of the Christmas story about how God keeps his promise to send a new king. You can also buy the accompanying colouring and activity book here and a giant colouring poster here. This is a heartwarming book to encourage interaction whilst reading the nativity story. Suitable for ages 1-3 years. Written to engage the whole family (children over 8yrs) during Advent. Based on her book, The Greatest Gift, there are Scriptures to read and activities to apply each theme. 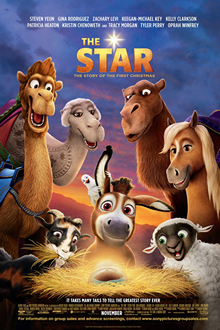 The Star Movie – a playful animation with a great soundtrack (Mariah Carey, Kirk Franklin, Pentatonix, Casting Crowns), retelling the nativity story through the eyes of the animals. Buy on Amazon for £9.99. The Jesus Storybook Bible on YouTube – divided into three parts, two of which can be found below. Watch the following short videos to help your children see the nativity in the context of God’s big rescue plan. Have fun creating your own family traditions and enjoy finding ways to evoke a sense of celebration waiting for Christmas Day!